Mark Hickman Homes is the modern home builder in the Chicagoland area. MHH specializes in building homes with green features. Mark Hickman Homes provides services for new building, home renovating, and home maintenance. At Mark Hickman Homes, we combine more than a decade of experience designing and building some of the area's most distinctive custom homes along with a fresh and highly communicative customer focused perspective. Mark Hickman Homes has been recognized locally and nationally as a top custom builder, receiving publications in several magazines. Mark Hickman Homes strives to always be on the cutting edge of design and home building. MHH is a full service organization that works with clients in a variety of ways. We are dedicated to serving you through-out your home building or renovating experience. The BEST......The Walker Group is a Hinsdale-based luxury builder of custom homes, serving the high-end real estate market since 1996. 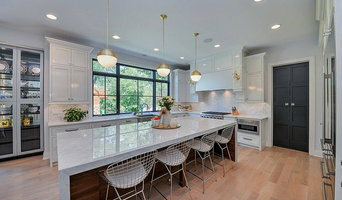 Recognized throughout Chicagoland for our quality custom homes and custom renovations, we enjoy a client list based solely on referral business. Focused on meeting each client’s individual needs, our team and slate of subcontractors is focused on doing whatever it takes to ensure a successful homebuilding experience. The driving force behind each custom home is a combination of experience, skill and an unwavering commitment to higher standards in homebuilding. As a seasoned custom home builder, we offer a unique perspective on what it takes to meet demands as we manifest and evolve from one phase to the next. After all, remaining flexible and accommodating is one of our greatest assets ... and one of your biggest advantages when building a custom home. With professional architecture and design assistance at your service, the tools you need to create the perfect home are never far from hand. From conceptual design to reality, we remain a constant partner in achieving all of your objectives. For Darien residential home builders who also act as developers, the job starts well before the first nail is driven. They perform local market research to determine whether the prospective homesites make sense in the Darien, IL market, as well as survey the land on which the house will be built to make sure it is suitable for construction. Custom builders also obtain the necessary permits. 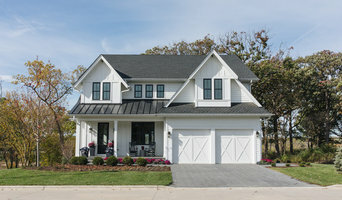 A good custom home builder in Darien, IL has skills that go far beyond construction — he or she must supervise subcontractors and artisans; keep tabs on local zoning regulations, building codes and other legalities; inspect work for problems along the way; and perform dozens of other roles that are essential in building a quality house. Here are some related professionals and vendors to complement the work of home builders: Interior Designers & Decorators, Landscape Architects & Landscape Designers, Architects & Building Designers, Kitchen & Bath Designers, Specialty Contractors. House builders are responsible for ensuring that the home-building project sticks as closely as possible to the specified timetable, particularly in the event of change orders. 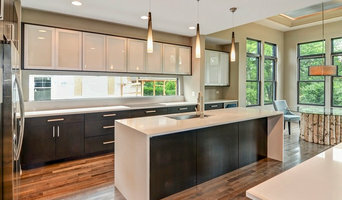 Custom and luxury home builders in Darien, IL also need interpersonal skills to deal with clients of all types, soothe frazzled nerves, negotiate conflicts and resolve problems. 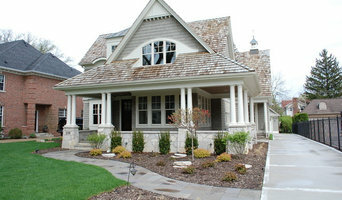 Find custom home builders in Darien, IL on Houzz. Narrow your search in the Professionals section of the website to Darien, IL home builders. You can also look through Darien, IL photos to find a house you like, then contact the builder who worked on it.